As many of you know, I’m a bit of a foodie … okay, more than a bit. I tend to experiment in the kitchen cooking international foods, and I have some fun cooking equipment such as my Moroccan tagine. 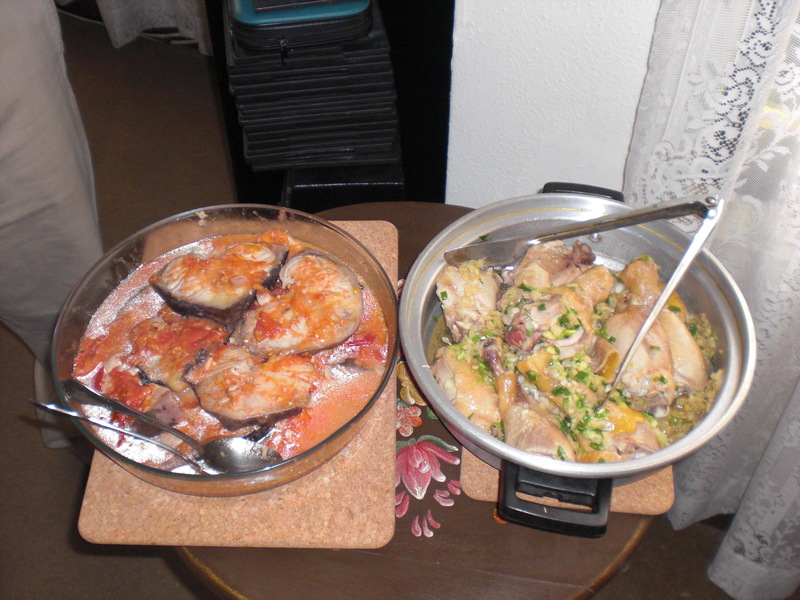 So it will come as no surprise to hear that I’ve been enjoying learning about Bolivian food. Many of you also know that I’m allergic to wheat, making experimentation a bit of a challenge at times. A number of food items in Cochabamba are breaded, so I make sure I ask about food prep … though, frankly, that can get pretty annoying, both for me and my hosts. Thankfully, indigenous foods often don’t include wheat flour, because wheat is relatively new to the indigenous diet. One of my favorite treats in Cochabamba has been cuñape, a Guarani Indian bread made from yucca flour, locally made cheeses, eggs, and a little milk. I have had a couple of lessons in making cuñape, thanks to my hosts and their neighbors … naturally, everyone has their own way of making them … and have had an opportunity to make cuñape myself. 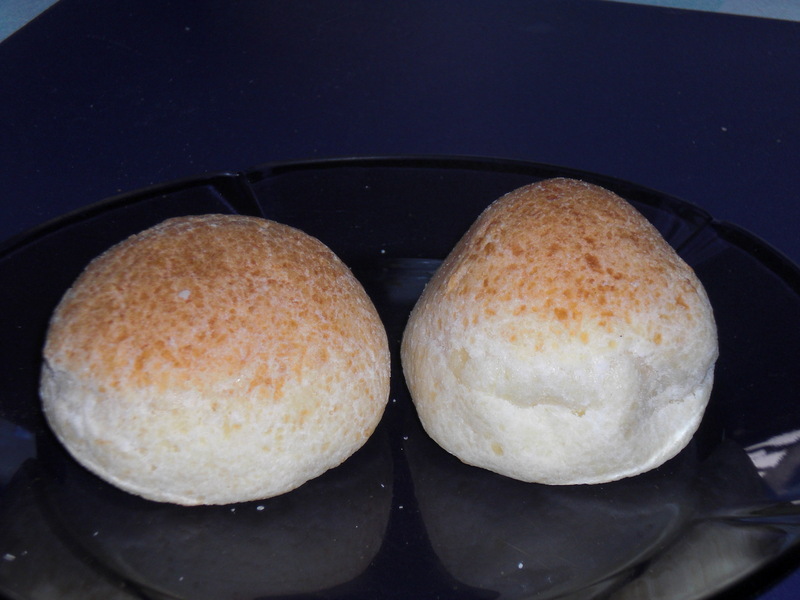 Another similar food is zonzo, which is made from yucca, cheese and potato, and either baked or fried. Both work for me! A typical meal in Cochabamba includes some kind of meat such as chicken, beef or churizo (sausage) and most of the time both rice and potatoes. You probably didn’t know this, but you can get lost in the potato section of a market here with all of the different varieties. They come in various colors, shapes, and sizes. Much like we New Englanders use different apples for different types of recipes, Bolivians use different potatoes. 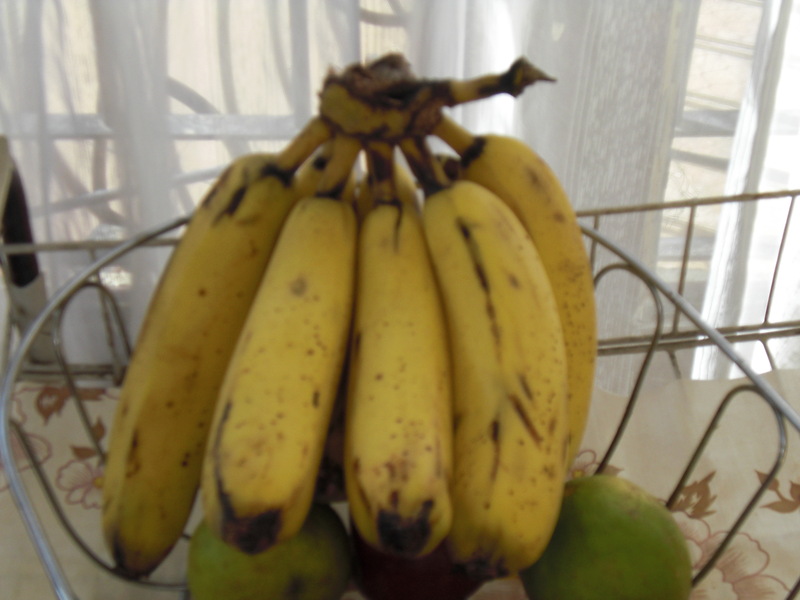 If you manage to make your way out of the potato aisle without getting lost, you have another opportunity to get lost in the platano (banana) section. Meals may also include some type of salad, which is usually a platter of sliced tomatoes, onions, avocado and lettuce. Just like in the states, coffee shops in the downtown area are popular for mid-morning snacks of tea, coffee and pastries … though, you’ll have a hard time finding a chain store like a Starbucks or Dunkin Donuts. As a rule, though, Bolivians don’t snack much. So, you don’t usually see chips, cookies, or other types of snacks around the house. Pastries, cakes, and cookies are reserved for special occasions such as birthdays, Mother’s Day, or holidays. The majority of the time dessert is yogurt and fresh fruit. Every once in a while there may be ice cream, but it’s typically homemade and containing mostly fresh fruit. According to recent studies, people in the states are opting for healthier beverages instead of sugary, carbonated drinks. Sales of the major soft drinks are currently in decline. That, however, is not the case in Bolivia (or elsewhere in Latin America). People make their own juices from Guava, oranges, and other fruits, but just about every dinner table also has a large bottle of Coke nearby. Coke here is still made with sugar rather than high fructose corn syrup, so it tastes different from what you purchase in the states. Coke and Sprite are also the typical mixers for cocktails of Rum or Singani, a Bolivian brandy made from grapes. Chuflay is a popular drink made with a jigger of Singani and Ginger Ale, 7-Up or Sprite, and garnished with a lime. Speaking of beverages, I couldn’t talk about food and drink in Bolivia without sharing a little about chicha. “Chicha” can refer to most fermented and non-fermented beverages made from corn (maiz) or yucca, but the most common use of the word is in reference to a locally made corn beer that dates back to a time when the Inca made offerings to the gods. It’s popular in Bolivia … at times, a bit too popular … and quite different from anything I’ve ever had to drink. When you drink chicha, you’re expected to observe traditional custom. 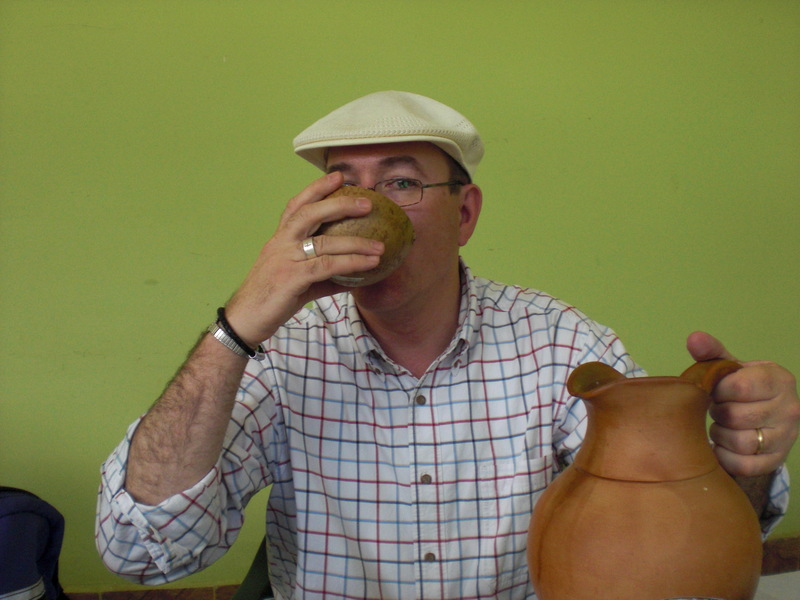 Chicha is consumed from a cup cut out of a dried gourd. When passed the cup … which you drink, because it’s rude not to … you’re expected to make a small offering to nourish the Pachamama, the supreme goddess revered by the indigenous people of the Andes. (Pachamama means “Mother Earth” in the native Quechua language.) You make your offering by spilling a small amount from your cup before you drink. You then drink it down and select someone else who is expected to do likewise. I am enjoying hearing from you via “blog” Keep ’em coming!